Make the beautiful beaches of South Florida your new vacation home with a timeshare at Silver Seas Beach Resort. 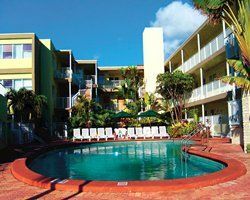 These Fort Lauderdale timeshares for sale offer the ideal vacation opportunities with comfort and convenience paired with the tropical ambience of South Florida. Located only five miles from the airport and only steps away from the beach, you are sure to enjoy a peaceful vacation time and time again in the Sunshine State. Your timeshare at Silver Seas Beach Resort is the ideal retreat for your next beachfront getaway. The resort offers spacious studio, one, or two-bedroom timeshares for sale on the resale market, providing tropically themed vacation condos with tons of added extras. Enjoy a fully-equipped kitchen with all the essentials, convenient sofa bed, cable TV with VCR, and outdoor furnished living area – perfect for viewing those beautiful Florida sunrises. Silver Seas Beach Resort offers so many wonderful opportunities for fun and relaxation. Timeshare owners enjoy full access to all resort amenities, including an outdoor swimming pool with hot tub and expansive sun deck, shuffleboard courts, direct access to white sand beaches for swimming, water sports, fishing, and boating. Make the most of the sunshine with use of the resort’s barbecue grilling area for al fresco dining by moonlight. For your convenience, the resort offers laundry facilities, convenience store shopping, and a nearby café. 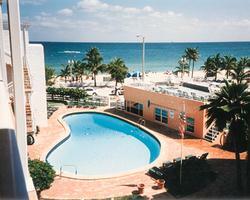 Silver Seas Beach Resort is located only moments from Fort Lauderdale’s eclectic shopping and beautiful beaches. Enjoy fun in the sun with surfing, sailing, fishing, boating, and water sports on Fort Lauderdale Beach. Kids will fully enjoy the Jungle Queen sightseeing cruise down New River and the nearby Museum of Discovery and Science with IMAX Theater. Outlet shopping at Sawgrass Mills Mall is the largest outlet mall in the South, with local brands, national brands, and even boutique shopping opportunities. Contact Silver Seas Specialist Today!